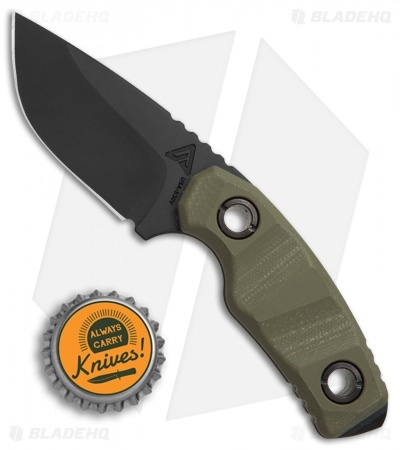 This PUK model sports a black finished blade and OD green G-10 scales. The PUK fixed blade from Atlas Dynamic Defense may be small, but it packs a mean punch. It comes built with a DeepCryo-treated CPM-S30V stainless steel blade with an extended full tang and jimping on the spine. Textured G-10 handle scales shaped with expertly placed finger grooves offer a superb grip in any weather conditions. 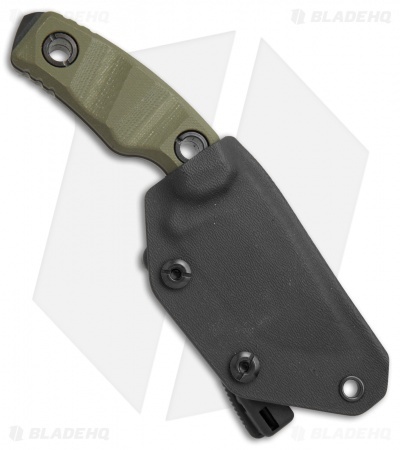 Comes paired with a secure Kydex sheath. 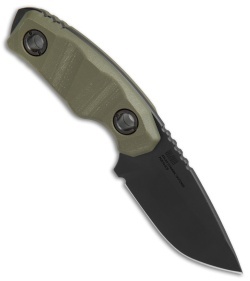 CPM-S30V blade steel offers high durability and edge retention. Resilient textured G-10 scales provide heightened grip and control. ATLAS Hardware allows easy scale removal without the use of specialized tools.